Juneau is many things: a mountain town, a coastal community and the most scenic capital city in the U.S. A natural wonder, wildlife hot spot and cultural jewel, Juneau is rich in history, art, music and Native heritage. It’s an outdoor enthusiast’s paradise, a shopper’s trove and a food lover’s dream – not just the state capital, but the beating heart of Southeast Alaska. Juneau sits in the state’s panhandle, at the base Mount Roberts. It’s a popular cruise-ship stop, reachable only by boat or seaplane. A tram carries visitors 1,800 feet up Mount Roberts to an alpine area with hiking trails, wildflowers and views of Gastineau Channel. This is also the site of the Juneau Raptor Center, dedicated to local birds. Mid May–September is when most people visit, coinciding with peak wildlife viewing season. Two music festivals, the Alaska Folk Festival (April) and Juneau Jazz & Classics (May) attract visitors in spring. Gold Rush Days (June) celebrates the city’s mining and logging heritage with lumberjack contests and kids’ activities. Weather in October, November and April is cold and rainy, and temperatures December–March are often below freezing. When it comes to dressing for Juneau weather, prepare for the worst and hope for the best. Even the warmest sunny day can turn cold and rainy (and vice versa). Layers are key, all seasons: t-shirt, sweatshirt or fleece, waterproof outer layer. Also strongly recommended, all seasons: sturdy waterproof footwear. 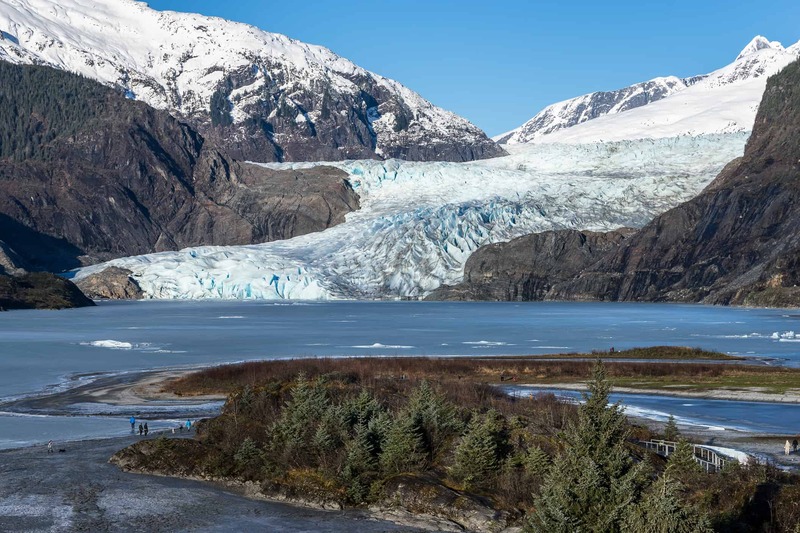 Juneau’s most popular attraction (for a good reason), the Mendenhall Glacier is a half-mile wide, with ice 300 to 1,800 feet deep. It provides some of the most spectacular landscapes in Alaska. Even more amazing, the glacier constantly moves and changes with the seasons — so no two visits are alike. Don’t miss the view from the visitor’s pavilion, which will only take about 90 minutes. You’ll be able to take some great photos, too. With a little more time, enjoy beautiful hiking trails that get you up close to the glacier and its surrounding nature. The most rewarding hike is to Nugget Falls. Imagine a very large, beautiful waterfall cascading directly into an iceberg-filled lake with a glacier in the background. Forty-five miles outside of Juneau, this scenic destination has it all — mammoth glaciers, towering granite walls, breathtaking mountains, waterfalls, and a large variety of wildlife. 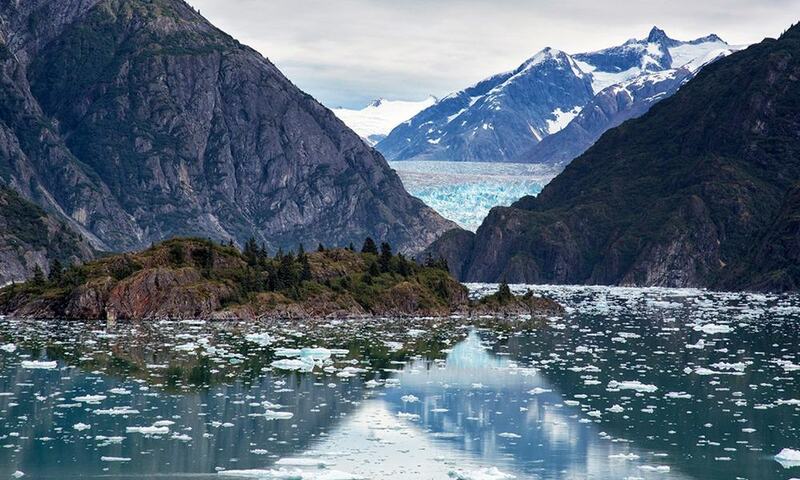 Tracy Arm is a 30-mile long fjord — a narrow inlet created by glacial activity — formed thousands of years ago. It winds its way past 7,000-foot snow-capped mountains and floating icebergs. At the end of the fjord lies the stunning Sawyer Glaciers, translucent blue mountains rising majestically out of the water. About once every hour, the North Sawyer and South Sawyer glaciers “calve” — an awe-inspiring phenomena in which large chunks of ice tumble into the sea below. Tracy Arm is also home to a large variety of wildlife including bald eagles, brown bears, goats, and whales. It provides some wonderful opportunities for capturing beautiful vacation memories. No trip to Alaska is complete without bears. 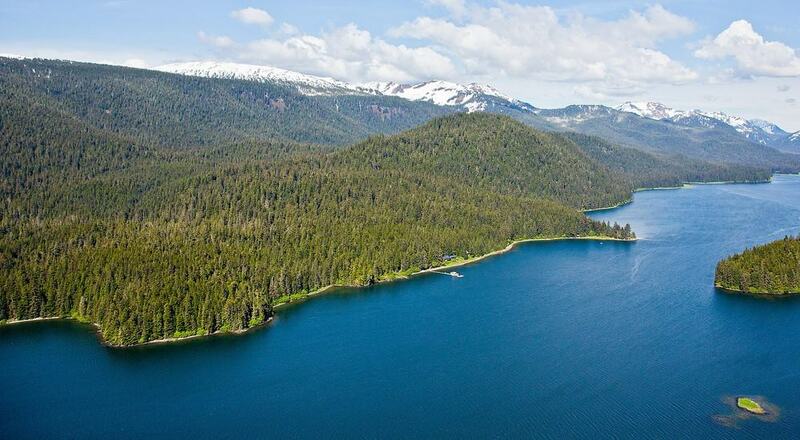 Just twenty minutes from Juneau by float plane is Admiralty Island, home to one of the world’s highest density brown bear populations. Nicknamed “Fortress of the Bears,” there are approximately 1,600 bears — one for every square mile of the island. The most popular place to see these big, fuzzy creatures in action is Pack Creek Bear Sanctuary. Watch bears feed on salmon during the peak viewing season (July through August). In addition to bear viewing, you might spot seabirds, harbor seals, sea lions, whales, Sitka black-tail deer, or sea otters. The island is also home to the world’s greatest concentration of nesting bald eagles. Permits are required and a guided tour can help provide them and arrange transportation. You can reach the island via floatplane, boat, or kayak, depending on weather and ability. Eagle Beach, around Juneau’s mile 27 marker, offers an astounding dynamic environment that can be found few places on earth. With average tides of 16 feet of change, these tidal flats hold many morsels of food for all manner of wild life, especially the bald eagles for which the beach is named. Beach goers of the human variety often wade out in their tufs to find clams, sea peaches, crabs, and many other delights. 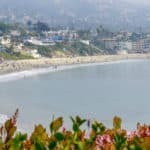 Low tide opens up around a quarter mile out to the waters edge, but be ware of your way back because the tide creeps in quickly, quietly, and in odd ways. The Goldbelt Mount Roberts Tramway opened in 1996 and operates May through September. 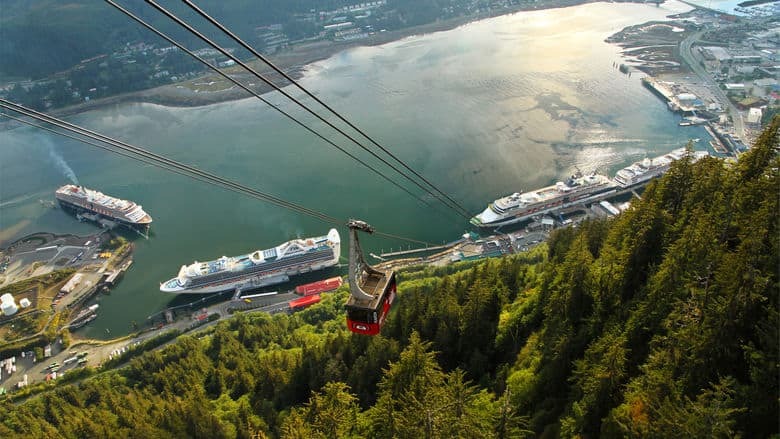 It is the only aerial tramway in southeast Alaska. 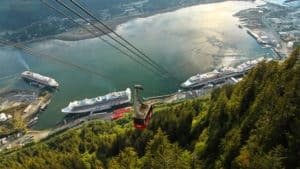 Cars rise 1,800 feet from the cruise ship dock in downtown Juneau through the rain forest to the Mountain House, offering expansive views of Juneau and Gastineau Channel. The Mount Roberts Tramway is one of the most vertical tramways in the world and received the Governor’s Award for facility accessibility design. We are fully ADA compliant and can easily accommodate guests with accessibility requirements. Gastineau Guiding has been offering small-group fully-guided whale watching and hiking experiences to Juneau travelers for over 20 years. Step into Alaska with a passionate and professional Certified Interpretive Guide. Their fleet of safari vessels provides the best vantage for viewing and photographing marine wildlife – whale sightings are guaranteed! For more information call 907-586-2666, or visit them on the web at Gastineau Guiding. Offering glacier flightseeing by 10 passenger deHavilland Otter seaplane from the historic downtown Juneau waterfront. Tour includes the ultimate combination tour: the Taku Lodge Feast & 5-Glacier Seaplane Discovery (3 hours including flight seeing and 2 hours at the remote Taku Glacier Lodge and Salmon feast. Also possible black bear sightings). 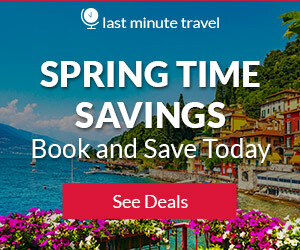 For more information call 907-586-6275, or visit them on the web at Taku Glacier Lodge & Wings Airways. Liquid Alaska Tours is Juneau’s premier adventure tour company, offering small group trips to the exclusive Mendenhall Glacier. For more information call 1 800-892-5504, or visit them on the web at Liquid Alaska Tours. They specialize in high-quality, small group, active adventures throughout the Juneau area featuring glaciers, bears, and whales. Join them for guided glacier trekking, ice climbing, wildlife viewing, and sea kayaking. For more information call 907-364-2333, or visit them on the web at Above & Beyond Alaska. Zipline through a beautiful Alaska rain forest surrounded by lush trees, mountain views and rushing streams on an unforgettable experience, never leaving the treetops! No hand-braking required, their friendly and knowledgeable guides take care of the all gear and equipment for you. A fun activity for the whole family and people of all ages, both young and young at heart! For more information call 907-321-0947, or visit them on the web at Alaska Zipline Adventures. The staff are friendly and welcoming, and have a passion for sports. Beyond serving hot, locally-sourced crab legs with butter, the menu offers crab cakes, crab rolls, crab bisque, and seafood appetizers. Needless to say, Tracy’s is the place for the crab lover, looking for a laid-back environment to enjoy the fruit of the nearby Alaskan sea. For more information call 907-723-1811, or visit them on the web at Tracy’s King Crab Shack. Salt takes local Alaskan flavors and ingredients and updates them with modern flair; the result is a stunning juxtaposition of rustic heart and fine dining. The atmosphere is upscale, yet comfortable, and guests are often entertained with unobtrusive and pleasant live piano music. The menu at Salt combines unexpected elements, like roasted chestnut soup with prawns, and sea scallop carbonara, to obtain a perfect marriage of flavors. For more information call 907-780-2221, or visit them on the web at Salt. Pel’Meni restaurant boasts a small menu that keeps locals coming back time and again. The menu is so small, in fact, that pelmeni is the only thing on it. For $5, guests get a large portion of the heavenly pastry pillows, filled with their choice of beef or potatoes, and topped with sour cream. Some locals call this haunt a dive, but we like to call it humble. For more information call 907-586-0177, or visit them on the web at Pel’Meni. The Hangar on the Wharf has been in business for nearly 20 years, and has become both a local standard and a popular destination for out-of-town visitors. The menu offers contemporary American fare, with several dishes using local seafood. Beyond that, soups, salads, sandwiches, and classics like jambalaya and chicken fried steak round out the options. For more information call 907-586-5018, or visit them on the web at The Hangar on the Wharf. As the name suggests, the menu highlights the freshest catch from Alaskan waters, with its dishes like sweet potato shrimp cakes, clam chowder, and sauteed Alaskan black cod. The restaurant is popular with both locals and visitors, being within walking distance of the cruise docks. Twisted Fish is open daily for lunch and dinner, but only during the summer months. From October to April, the owners and staff close up for the winter and prepare for the coming year. For more information call 907-463-5033, or visit them on the web at Twisted Fish. As Juneau’s self-proclaimed oldest and most historic bar, established in 1891, this spot has not lost any momentum throughout its 100 plus years of history. The Imperial Saloon is one of the best bars in the city to grab a strong drink and enjoy a fun night out. The interior is festive and lively, and you can keep yourself occupied with darts, billiards, or ping pong if you don’t want to dance to the beats spun by their DJs. If all the fun you’re having works up your appetite, grab a bite to eat at their in-house kitchen, the Front Street Cafe, which stays open as long as the bar does. For more information call 907-586-1960, or visit them on the web at The Imperial Saloon. This restaurant and bar has been in business since the end of the 19th century, when mining brought droves of newcomers to the Klondike region. 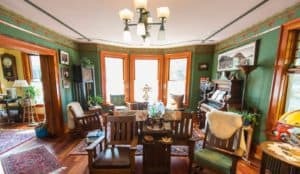 Since then, the saloon has changed locations, but has held on to its history – and a collection of antique guns and furs that still decorate the dining room to this day. The restaurant serves bar classics that stick to your ribs and go down perfectly with an ice cold beer. For more information call 907-463-3658, or visit them on the web at Red Dog Saloon. If you need a spot to watch your favorite football and basketball games with drinks and great food, McGivney’s Sports Bar & Grill is the perfect place for it in Juneau. The bar has a number of TVs and gives off a true sports bar vibe with tons of framed jerseys featured on the wall from everyone’s favorite teams. Order a beer or cocktails while you enjoy some crab bisque, fish and chips, or deep fried pickles. For more information call 907-789-0501, or visit them on the web at McGivney’s Sports Bar & Grill. This dive bar is actually one of the best spots to come to in Juneau for a casual night out. It also has some of the best fish and chips in town. The Sandbar is an establishment that keeps things simple when it comes to cocktails and menu items, but the attention to quality and providing patrons with a good time is front and center. Hit up this neighborhood spot, order some beer, and enjoy their amazing halibut fish and chips. For more information call 907-789-8400, or visit them on the web at Sandbar. If you’re in the mood for a night out but don’t want to go anywhere crowded or touristy, visit this iconic Irish pub that’s been a part of the city’s local scene for decades. Lucky Lady Pub is one of a few Irish-themed pubs in Juneau, and its low-key, casual atmosphere makes it a great place to go for a genuine good time. The bartenders serve up strong concoctions and spirits, and although there isn’t a full in-house kitchen, the pub provides customers with snacks throughout the night. For more information call 907-586-9673, or visit them on the web at Lucky Lady Pub. Experience serenity in a rain forest garden and casually elegant surroundings at Pearson’s Pond Luxury Inn and Adventure Spa in Juneau, AK. Nestled alongside a glacial kettle pond, our award-winning accommodations are more like those in a boutique hotel than a typical bed and breakfast. 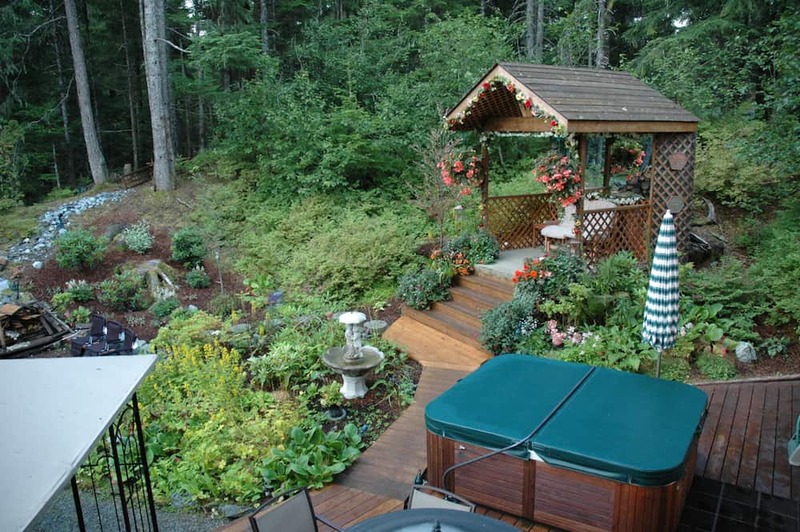 Pearson’s Pond is a frequent winner of Trip Advisor’s Certificates of Excellence and is consistently rated by our guests as the best place to stay of all Juneau, Alaska’s hotels, bed and breakfasts and inns. For more information, pricing, or to reserve your room, visit Pearson’s Pond Luxury Inn & Adventure Spa. 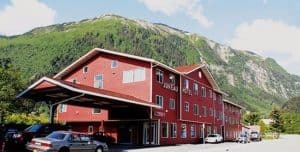 Boasting expansive views of the ocean and mountains, Inn at Norway Point offers accommodations in Juneau. The Inn at Norway Point features a private entrance to a secure 2-bedroom apartment. 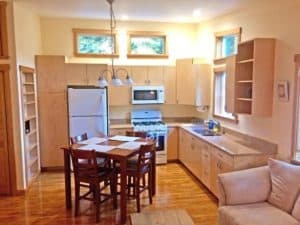 Features include a private bathroom, living room, and fully-equipped kitchen with a refrigerator, microwave, oven, coffee machine, electric kettle, dishwasher, toaster, and kitchenware. Additional amenities include free WiFi, a covered outdoor seating area, and free laundry facilities. Guests can enjoy access to various self-serve breakfast items, snacks, fresh fruit, and beverages. For more information, pricing, or to reserve your room, visit Inn At Norway Point. The Bungalow is a relaxing guesthouse, with everything you would expect in a home away from home. Tall ceilings and an open floor-plan make it perfect for travelers in search of extra space to stretch out and relax. Complimentary continental breakfast items included! The Mendenhall Glacier is just down the road, and bicycles are available for rent ($15/day) for the adventurous at heart. 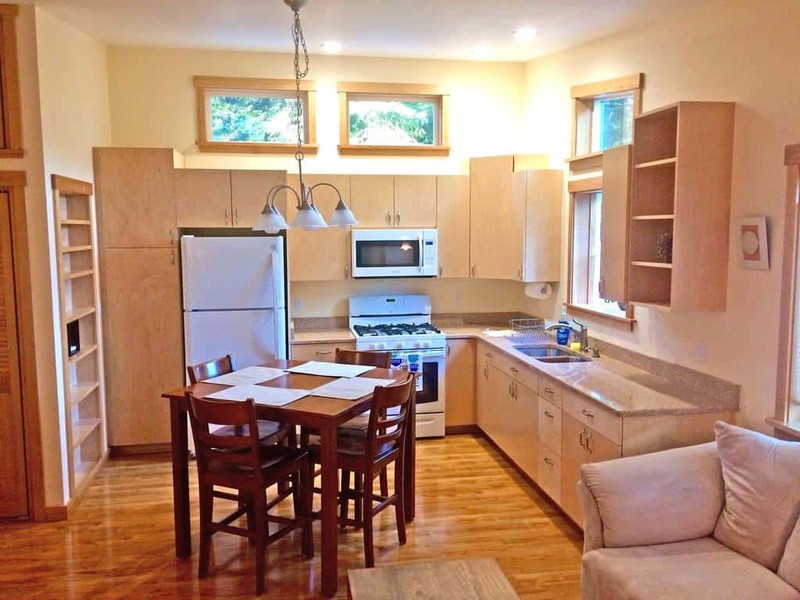 For more information, pricing, or to reserve your room, visit The Bungalow. 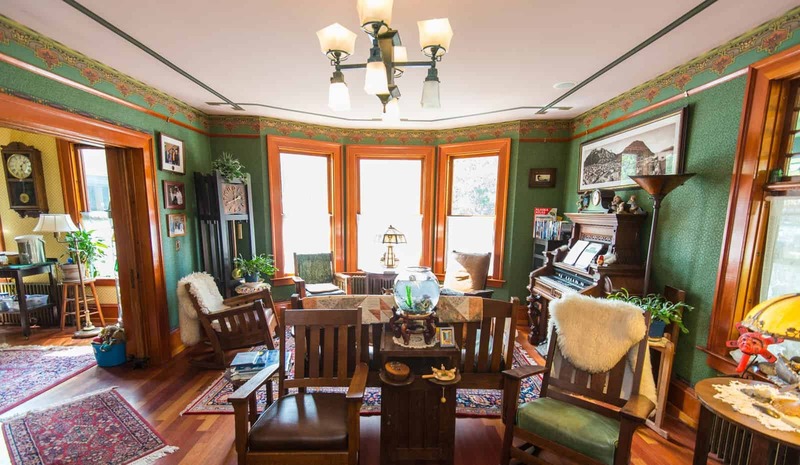 This restored gold rush era home offers the finest in overnight accommodations and a real be & breakfast experience during your stay. 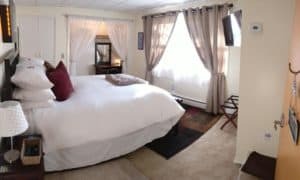 Rooms are tastefully decorated with fine linens on king size beds, walls adorned with period wallpapers, collectible Alaskan art, and period furniture throughout. Our breakfasts are raved about by the guests, and covered by all the guide books, as a true dining experience. You can enjoy refreshments before dinner, or our bottomless cookie jar with a cup of tea in the afternoon, when guests often share the day’s events or photos. For more information, pricing, or to reserve your room, visit Alaska’s Capital Inn Bed & Breakfast. Welcome to downtown Juneau’s only All-Suites Hotel offering 72 fully-furnished Suites, and situated near the breathtaking Gastineau Channel. Their hotel offers convenient access to bustling downtown Juneau’s State & Federal buildings, museums, the Mt. Roberts Tram, many gift shops, and restaurants. This makes the Juneau Hotel perfect for leisure or business travelers. They also offer a complimentary shuttle to and from the airport and the Alaska Marine Highway Ferry terminal. 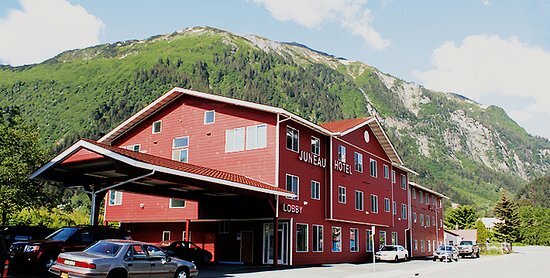 For more information, pricing, or to reserve your room, visit the Juneau Hotel. Hi Leahrae, there are some pretty amazing hotels in Alaska and that’s without even starting on the beautiful scenery. I always think that seriously cold places often have the best wildlife and landscapes. there’s just something about that crisp cold air with the brightness of the sun. Still, I’m not saying I would want to go in the middle of winter, but the summer looks just amazing there. LOL, so true! I am sure the weather is very similar. I am visiting here right now, and I have been cold pretty much the whole time. I do not have “winter clothes”, and I will have to be more prepared when I come back this next time LOL Thanks for stopping by Juneau Alaska Travel. What a wonder! To me it is such a contrast to find that Alaska has so much to offer, a little paradise on earth. You’ve just added one client in your visiting list of guests. I just need to add that in my schedule. I am glad you enjoyed reading my Juneau Alaska Travel Guide. It is definitely a great destinations with so much to offer. Thanks for visiting beach travel destinations. Great Thierry, big difference in climate and scenery from Australia. But well worth a vacation to. Juneau Alaska is beautiful and really has a lot to offer. Thanks for stopping by! The landscape is absolutely amazing! It looks incredible. I actually don’t mind the weather conditions, I do like rain 🙂 Seems that Juneau has something to offer for everyone. It really makes me want to go there after reading your detailed article. Thanks for sharing! Juneau Alaska really is an amazingly beautiful place. And if you don’t mind rain, then you will love it there. I hope you can visit soon. Thanks for stopping by beach travel destinations. I really enjoyed the reading! Whales watching was always on my bucket list, and this year I will make my dream come true! 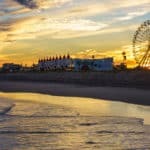 So many great information, I can already plan my trip thanks to your useful article! Alaska is quite cold, and even though I plan to travel in Juin, I am always worried about what to wear. Should I bring more sweaters than T-shirts? No, it will be plenty warm. You can take the t-shirts, and one good sweater, as well as a light jacket (rain jacket) and you will be good to go. It will be warm enough, except if it rains, then it will get a little chilly. You are going to have an amazing time! Wow! Visiting Alaska is one of my bucket list places, perhaps if that does happen, Juneau will be my target place. It’s surprising to know, that even if it’s not that big– there are tons of fun things to do. Thank you for putting up all the words, you have covered all the important points that a traveler needs. I think Juneau is a great starting place! You will have so many options there for things to see and do. Please let me know if you need any additional information. Thanks for visiting Juneau Alaska Travel. What a fantastic looking place. There is a plethora of information in this article. I’m impressed with the content. Thank’s for this article. I can only wish when it comes to visiting Alaska, unfortunately, I live too far away. Very good read. Thank you Stephen for stopping by and taking time to leave me some comments. Hopefully one day, you can get to vacation to this wonderful place. 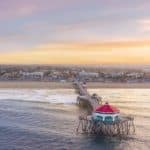 Another comprehensive guide for Alaskan travel! Juneau also looks very beautiful and seems like so much to do there with the culture and shops. I really love the glacier! Thanks for posting! The glaciers are pretty impressive Chas! Alaska just has a lot of beauty no matter where you go. Thanks for visiting Juneau Alaska Travel. What a comprehensive site you have, Leahrae! Sadly, I cannot travel due to health issues. But I love reading about destinations and using my imagination to visit. A good friend formerly lived in Juneau. Now I have a better idea of the beauty she described. Juneau is a beautiful place, just have the weather conditions to deal with for sure. It is a shame you cannot travel, but I guess this is the next best thing 🙂 Thanks for visiting beach travel destinations. Hey Leahrae, Juneau’s mountain town down the south-east of Alaska looks picturesquely scenic, your featured image looks so inviting. Combining the natural wildlife and the culture of Juneau’s rich history of art & music with the vast choice of restaurants and shops does sound like an enthusiast’s paradise. Another holiday place to add to our bucket list. You are so welcome Simon. Juneau is wonderful, having lived in Alaska for 22 years, I can say that it is definitely one of the Alaskan communities not to miss. As you say, the wildlife, culture, history, art & music, along with the food and drink….great place! Thanks for stopping by! Wow, there’s a ton to do in Juneau! You really cover seemingly everything. I have the feeling that I now know exactly what to expect should I decide to make Juneau a vacation destination. 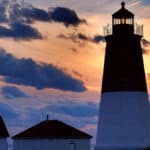 Great post, well written! Thank you for all of the information. You are very welcome Kevin, and thank you for visiting Juneau Alaska Travel. I hope you can make it here someday soon. It is definitely worth adding to your bucket list. and when we are ready to visit Juneau Alaska, your site will be very useful for our planning. Thanks so much Marian for visiting beach travel destinations. Please come back when you are ready to start planning your trip to Juneau. About 30 years ago I hate to say, I went to Juneau on a family trip. We took a cruise out of Vancouver BC to Juneau and then via some bus rides and trains saw a great deal of Alaska. Even for a 13 year old, I had fun and can’t wait to take my children!I wish there was zipline adventures back then. This site is full of great information for my next trip. Thank you! 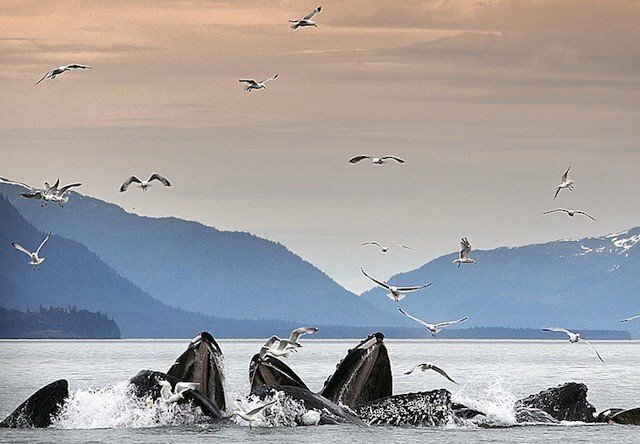 From whale watching to Eagle Beach, I didn’t know that Juneau had that much to offer. Juneau does have a lot to offer, that is for sure. I am glad you enjoyed your visit and learning about Juneau Alaska Travel. It is a beautiful place, and your family would enjoy! Thank you Rique, it is beautiful! Thanks for stopping by Juneau Alaska Travel.